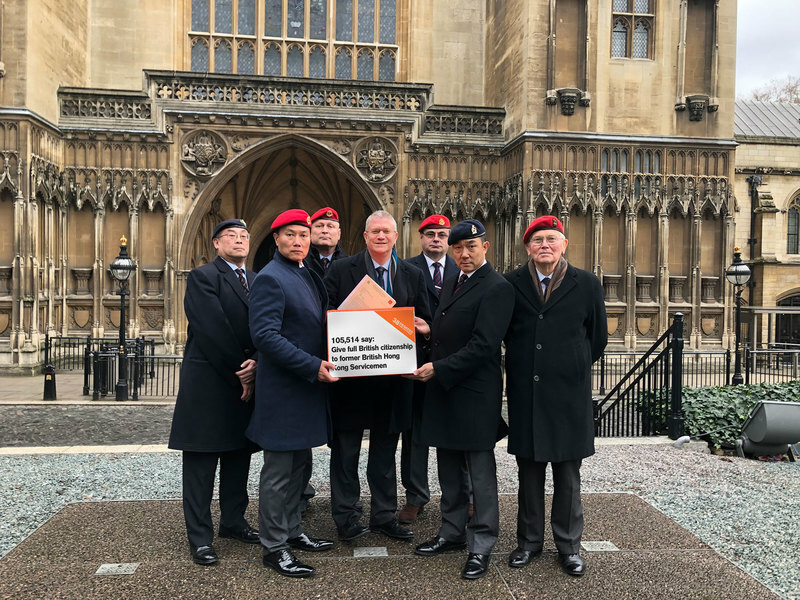 On Thursday 31st January, a group of ex British Hong Kong servicemen handed in their petition and discussed their campaign with the Home Secretary, Sajid Javid at the Home Office. They were joined by MP Andrew Rosindell who has been working on the issue for a number of years and has an open letter signed by over 50 MPs. They carried a box with 105,514 signatures from 38 Degrees-ers up and down the country. The petition is calling on the British government to recognise the enormous contribution of the British Hong Kong servicemen. And give them full British citizenship and UK passports.